Verkada is arguably the most ambitious video surveillance startup in many years. The company is developing their own cameras, their own VMS, their own cloud management software and their own video analytics, offering what they describe as the "Security Camera System Built for the Modern Enterprise". Verkada is missing a number of commonly-used VMS features, has limited camera options, and suffers performance issues. They have received significant funding for a surveillance startup, and will need to address the limitations while adding new features to compete with other cloud-first manufacturers like Eagle Eye, OpenEye and Milestone-backed startup Arcules. Additionally, Verkada cameras are proprietary, locking end users to their platform and risking complete loss of functionality if they fail as a company. For someone who wants basic remote access, cloud management and no on-premise server/gateway, Verkada is an option. However unlike Eagle Eye and Arcules, Verkada does not utilize the cloud for primary video storage, so if a camera is damaged or stolen, any recorded video on the camera is lost. Additionally, Arcules VMS has the advantage of utilizing of Milestone's code base. Verkada will certainly improve as they have only been in development for a few years, working on cameras and VMS simultaneously, while almost all of their competitors have had many more years and generally only working on half of what Verkada aims to do. Of course, we cannot tell how much better Verkada will come but, given the company's aggressive well-funded approach, we plan to re-test when there are sufficient new features added warranting updated testing. Verkada cameras utilize H265 compression for streaming and recording video. However, the ghosting/doubling of moving objects in live and recorded video was mostly caused by Verkada's automatically configured WDR settings, and are not likely due to high compression in the camera. Verkada said this is most likely due to an automatically configured WDR setting in the camera. However, there is no option for the user to decrease the setting, Verkada support can adjust those settings remotely if the user contacts them. Playback video is viewed from onboard camera storage unless viewing video that was previously Archived to cloud storage. Video would typically buffer for 3-5 seconds prior to starting playback, and when using 2x or 3x playback speeds, the video would stop to buffer every few seconds. Verkada said that system Internet bandwidth is one of their primary concerns, and that support is able to remotely run outbound bandwidth testing from the camera to Verkada servers to determine where the bottleneck is. Again, there is no option for the user to run this test to troubleshoot the issue. Verkada noted that they were aware of this bug and said that because this feature is still beta, they are continuing to optimize it for multiple browsers and Operating Systems, as well as address known bugs. Verkada's 2FA was quick to setup and offers SMS and 3rd-party authenticator support. Verkada only offers per user profile configuration and requires manual configuration for every account. 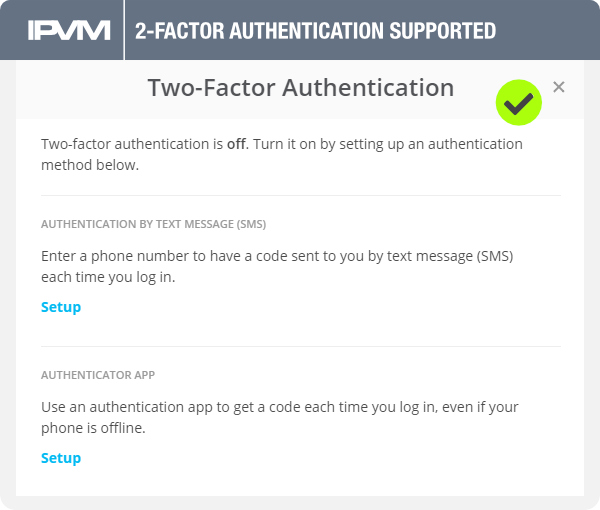 Though 2FA does not secure any VMS from all forms of remote exploit, it can prevent account misuse and prevent malicious users from attempting to access the system (IPVM 2-Factor Authentication Report). Verkada offers a time-lapse playback option, which plays an entire day of video back in 30 seconds. 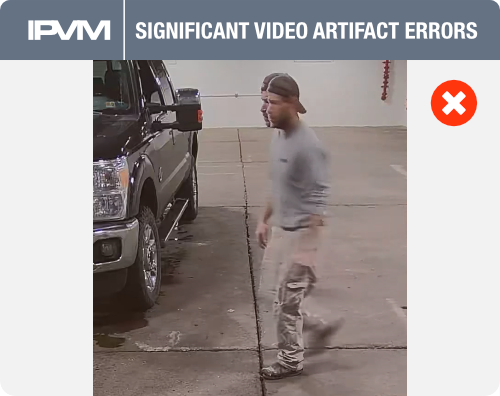 It is not helpful for identifying when an individual person walked by the camera, but for identifying when stationary objects like vehicles, tools, or bags were in a location. However, when previewing the Timelapse Search, Verkada returns some of the days as "unavailable". Once the day is selected the timelapse plays. Atypical for enterprise VMSes with proprietary cameras there are very few camera controls available. 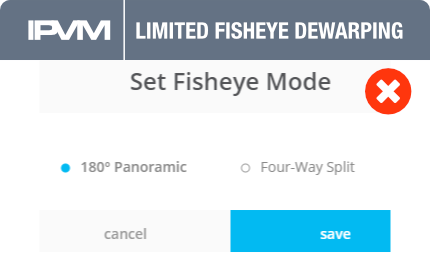 There are no options for resolution, frame rate, compression or imager controls (WDR, Brightness, Contrast). There are no options for static IP addresses, or copying setting configuration from one camera to another. Verkada said they are purposely limiting the configuration options to the minimum levels. They said they will be increasing access to more of the configuration and features as the platform matures. Camera setting changes in the VMS are synchronized automatically with the camera but typically take 10-15 seconds to apply in the camera. 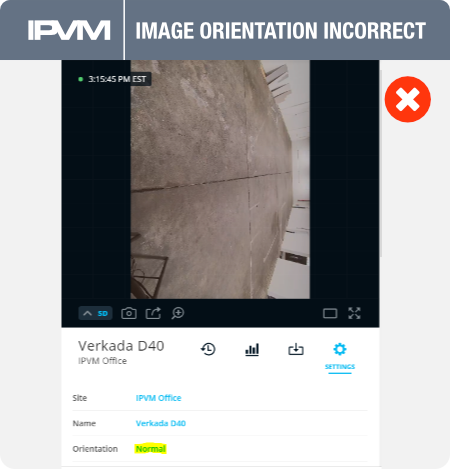 It was noted in testing that changing settings during that 10-15 second time frame could result in the camera settings being out of sync with the VMS settings. There is no option for forcing synchronization other than rebooting the camera. Verkada offers a single format, MP4 for exporting video. This video format is easy to playback on various devices, however, they provide no security, watermarking, or tracking of the video once it is exported. Additionally, because Verkada does not have a video file player, there is no multi-camera playback once the video is exported. Most enterprise VMS platforms provide a video download format with a standalone player. Digital watermarking is typically also an option when using a proprietary video format. There are no controls for PTZ cameras in the web or mobile clients. Verkada does not offer a PTZ or video encoders and said it is not on their roadmap due to low demand from customers. Verkada said the fisheye is a focus of development updates, and that the views in the 4-way Split are adjustable by Verkada support, but confirmed those controls are hidden in the web UI. Unlike most enterprise VMSes, Verkada does not support any 3rd party access control or other integrations. Verkada said they are open to 3rd-party integrations and noted they are in development for video event integration with a few partners. Motion detection and camera tampering alerts were received within 1 minute of the incidents. Verkada does not support ONVIF or direct driver support for any 3rd-party cameras. Verkada cameras do not support static IP addresses. Verkada recommended using DHCP with MAC reservations if more control over IP address is required. The cameras also do not currently support IPv6, however, Verkada said that could be enabled through a firmware update and has not been requested by any customers. Verkada said they automatically update the VMS software, adding features approximately once per month and releasing minor updates and bug fixes weekly. Cameras firmware updates also follow that schedule. Camera licenses are sold in 1 or multi-year lengths and cost between $199 up to $1,199 for a 10-year license. Streaming video in "SD - 300Kbps" mode resulted in a long latency of 6-8 seconds. Switching to "Live Low-Latency" mode, which is labeled as a "Beta" feature, decreased the delay to 2-3 seconds. This lower latency mode is similar to cloud-VMS performance in other IPVM tests (Arcules: 2-3 seconds, Eagle Eye: 2-4 seconds). "HD - 1Mbps" streaming results in a latency between 10-20 seconds. The resolution for Live and SD streaming modes is 800x600, and 3MP - 5MP in HD mode (depending on the camera model). Verkada said Live mode has a shorter buffer, which can result in more streaming errors with limited bandwidth Internet connections. The Live video stream was measured at ~100kbps, compared to 200-300kbps for SD mode. Verkada said that in addition to the shorter buffer, the Live mode video has a higher compression setting.